What’s the best time to return to DC Labor Day weekend? Looking to avoid the traffic on your return to D.C. this Labor Day weekend? See the best times to travel area roads on the way back to the District. WASHINGTON — You’ve planned every part of your Labor Day weekend trip out of town. But what time should you drive back to the D.C. area to avoid the worst of the traffic returning to the city? Thankfully, the Virginia Department of Transportation provides a historic travel trend data map which shows when backups begin to happen and when they get really bad around the back end of the holiday. Roads are generally clear in the morning on Monday, but traffic begins to slow along the Interstate 95 North corridor through Fredericksburg around noon, remaining slow until 9 p.m. If you’re coming back toward Washington from I-81, by 3 p.m., both the east and west ends of I-66 start to experience heavy congestion, which doesn’t fully ease until 8 p.m. 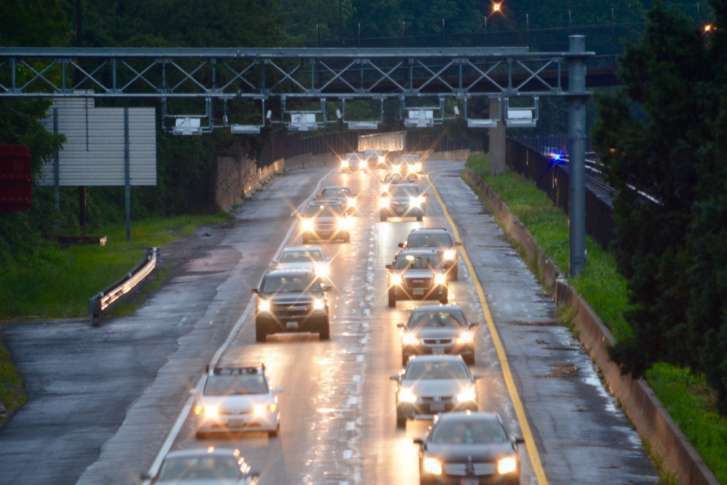 But as veteran WTOP Traffic reporter Bob Marbourg noted when discussing Memorial Day traffic, predicting the best times to be on the roads has gotten more complex over the years. Thankfully, weather shouldn’t play a role in slowing down the roads, but an accident on any of the area’s busiest corridors can scuttle the best-laid plans. That said, based on the historical data, if you’re home before noon or can wait until the later evening, you should be in the best shape to avoid the backups on the roads on Monday.